OHT has commercialized the inspection system for MRAM(Magnetoresistive Random Access Memory) which is potent application for next generation memory. 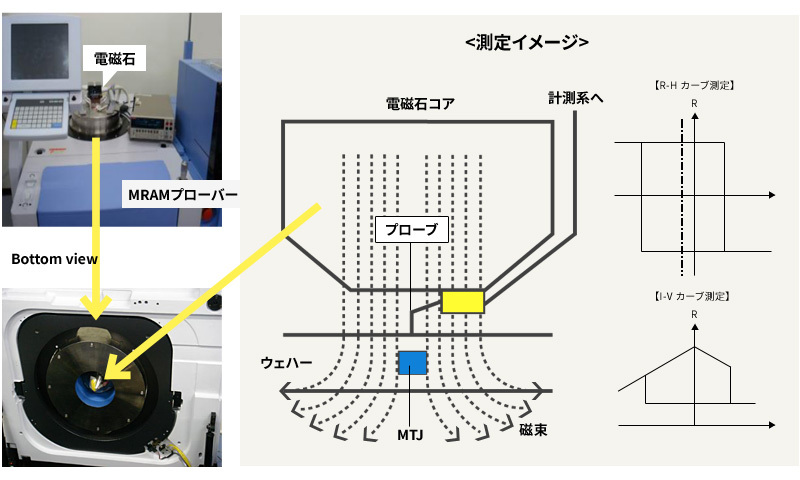 While putting a metallic probe on a wafer to be measured, apply the magnetic field by max. 1.5T to the face of that wafer from the mounted electric magnet to measure electric characteristic of MJT (Magnetic Tunnel Junction). The applied magnetic field keeps uniformity of ±1% within 4mm in diameter.